If you never heard about Sushruta then you missed another chance of being proud about India. It is another fact where we are lagging today and need to catch up. He is called as the "Father of Surgery". Some says about him as Father of Plastic Surgery. Yes, plastic surgery at that time. Sushruta made numerous contributions to the field of surgery. He demonstrated the surgical techniques of making incisions, probing, extraction of foreign bodies, alkali and thermal cauterization, tooth extraction, excisions, and trocars for draining abscess draining hydrocele and ascitic fluid. He described the removal of the prostate gland, urethral stricture dilatation, vesiculolithotomy, hernia surgery, caesarian section, management of haemorrhoids, fistulae, laparotomy and management of intestinal obstruction, perforated intestines, and accidental perforation of the abdomen with protrusion of omentum. He gave details of the six types of dislocations, twelve varieties of fractures, and classification of the bones and their reaction to the injuries. He provided principles of fracture management, viz., traction, manipulation, appositions and stabilization including some measures of rehabilitation and fitting of prosthetics. He classified eye diseases (76) with signs, symptoms, prognosis, medical/surgical interventions, and cataract surgery. He described the method of stitching the intestines by using ant-heads as stitching material. He was the first to deal with embryology and sequential development of the structures of the fetus. He pioneered the dissection and study of anatomy of human body. He introduced the use of wine to dull the pain of surgical incisions. He enumerated 1120 illnesses, and recommended diagnosis by inspection, palpation and auscultation. 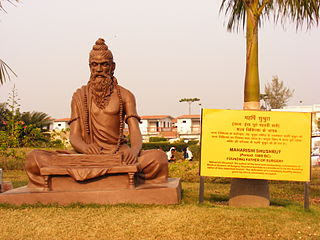 Sushruta was a Bihari and lived in Varanashi, Uttar Pradesh. I myself was not aware of it. Spread the words. Acharya Sushrut-Father Of Plastic Surgery.